Every customer likes a good bargain, so coupons are a great promotional tool for retailers— whether you’re a brick-and-mortar store, online, or both. Coupons are inexpensive to promote and distribute, especially in the digital age. This is especially true if you offer printable e-coupons, because you won’t even have to worry about ink and paper costs. They are also a cheap, easy way to remind consumers of your brand and boost sales, all while making the customer feel that they are getting something of value in return. Generally, retailers seem to believe that coupons can only offer a short-term sales boost, but that’s only part of the story. Done effectively, providing coupons on a regular basis can also serve as a marketing tool to increase brand awareness. Even if a customer doesn’t use the coupon, they’ve still been reminded that you exist. Attract new customers. A consumer may be more likely to visit your store (whether online or in-person) if they have a coupon. Ideally, they’ll like what they find enough that they’ll keep coming back. Increase sales and consumer awareness of a specific product. Coupons are a great way to promote a new product or line of products. They can both increase sales, and act as a promotional tool to increase customer awareness. Reward current customers. Coupons are a great form of positive reinforcement for customers who buy frequently, or tend to spend a lot of money at your store. Encourage former customers to return. Offering a coupon after a purchase can increase the likelihood that customer will come back. 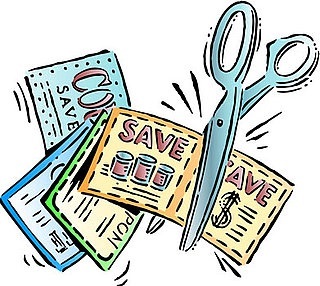 Many retailers offer coupons with the receipt at checkout, and even tailor these discounts to the types of products the customer buys most often. What Types Of Coupons Can You Offer? A lower price on a product. You can offer a useful or best-selling product at 10%, 25%, or 50% off. Offering a product free, or at reduced price, when someone purchases another product. To boost sales of a profitable item, you can offer something else with it for free. For example, you could offer a free pack of sponges with the purchase of a certain brand of dish soap. “Buy one, get one” deals. One tried-and-true coupon tactic is to offer customers something for free, or at half-price, when they buy one of the item at full price. Free or reduced shipping. For online purchases, free or reduced shipping can encourage a customer to make a purchase. Whatever the coupon you provide, make sure it is clear and precise about what it offers, as well as when and where it can or cannot be redeemed. Be sure to mark an expiration date if applicable, as well as to specify any special limitations such as only being redeemable in store or online. Attaching coupons to promotional emails. Putting a coupon code onto an online advertisement. Offering coupons or coupon codes via social media posts. Distributing coupons after a purchase, to be used next time a customer shops with you. Texting a coupon to the customer with their permission. Including coupons with a product. So it should be clear that coupons are a great promotional tool; one that you should be taking of advantage of if you’re not already. That being said, there is one final cautionary note I need to share with you: don’t give out too many coupons, or rely on them too heavily. Part of the appeal of coupons, from a consumer’s perspective, is their true value. If you’re too liberal with them, customers may become hesitant to buy items at their regular prices.